Sustainable Living Tucson: Worms...More than just bait! 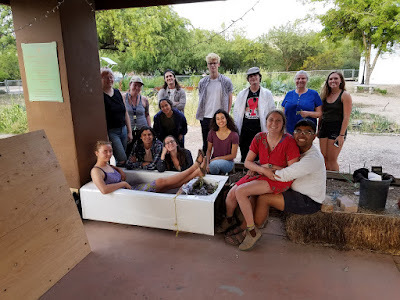 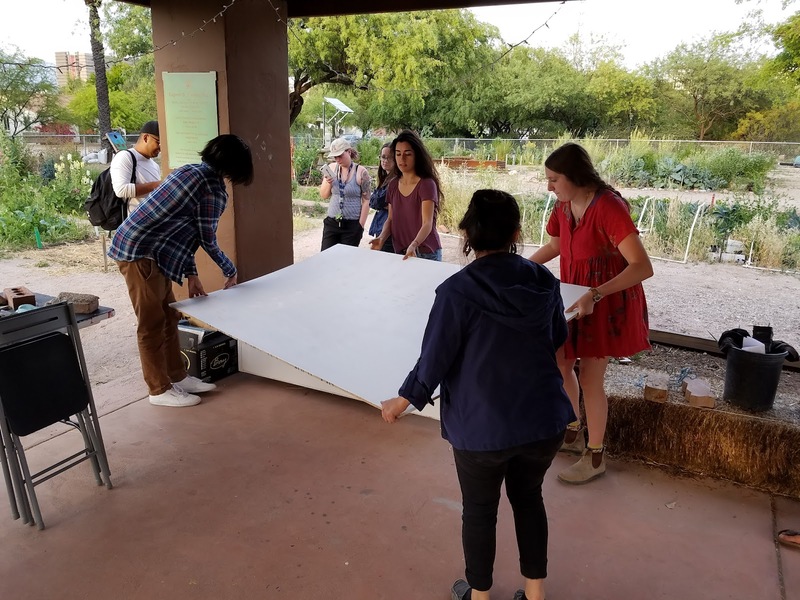 Jana and I were able to join the very inspiring UA Students for Sustainability at their community garden for a vermiculture workshop the other day. 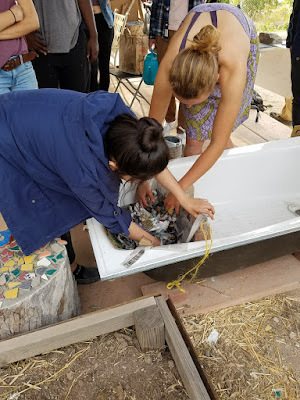 What's vermiculture, you ask? 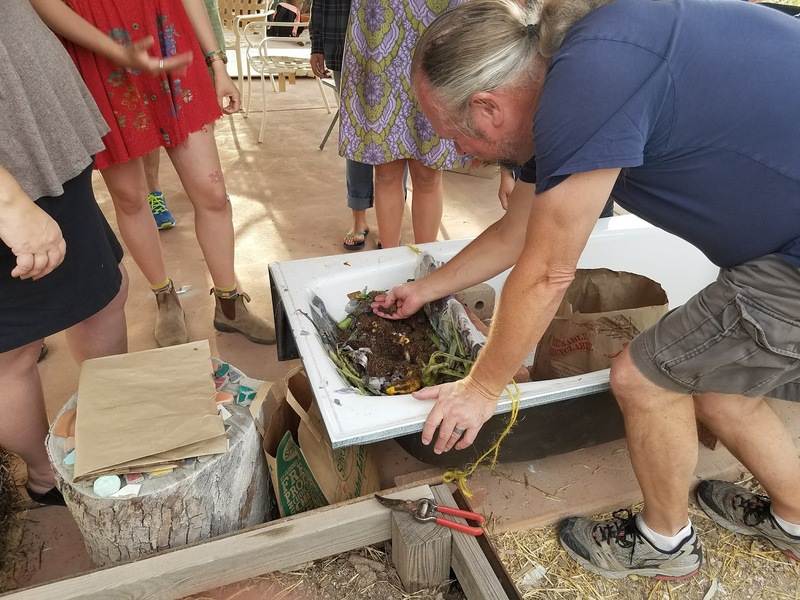 As we discovered at the workshop, it is putting earthworms to work processing food waste to create high-quality compost in a short period of time. 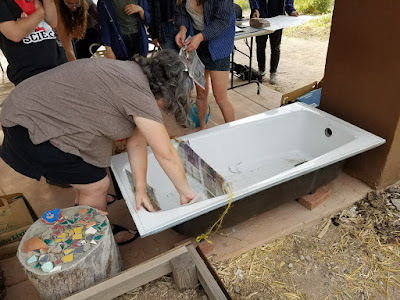 We began by using damp newspaper to line a surplus bathtub that one of the students picked up at a local thrift store. 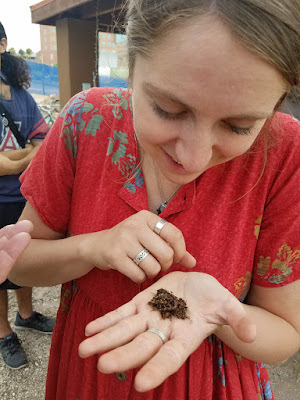 (Talk about an awesome find!) The tub was divided in thirds, so the worms can be encouraged to migrate over time by moving the food waste into empty sections, making it easier to harvest the fertile compost after they've vacated the premises. 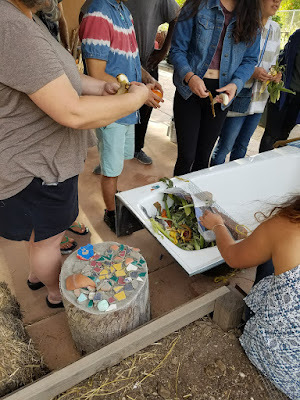 After that, it was time to add food waste from the garden and trash cans around the property. Time to introduce the earthworms to their new home! and then cover up the bin to keep the earthworms cool and to keep the compost from drying out too much. 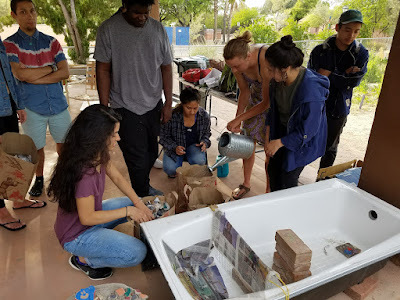 It was so fun hanging out with the student gardeners and learning another way to keep trash out of our landfills!